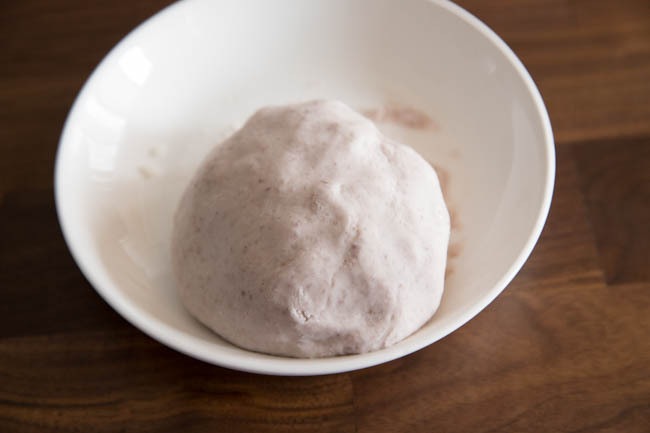 Easy and yummy taro balls from the very beginning. In speaking of Taiwanese food, the first two options come to mind is taro balls and Taiwanese fried chicken, followed by Lu Rou Fan and Taiwanese beef noodles soup and grassy jelly. 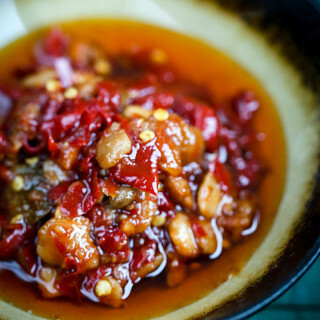 Those dishes and desserts are quite easy to find in Mainland China with very authentic taste. 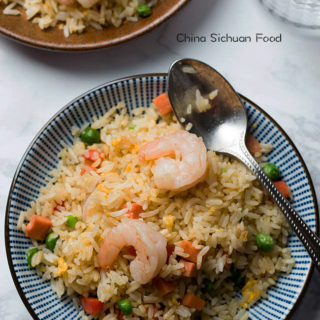 For example, in my home city, Xinguang Tiandi, a Taiwanese commercial estate realtor, bring us almost the most authentic Taiwanese food, from raw food to cooked one. We feel so happy and good to live in such an ear with so advanced transportation and great culture exchange. Although called as taro balls, those small balls might be made from trao and sweet potato. 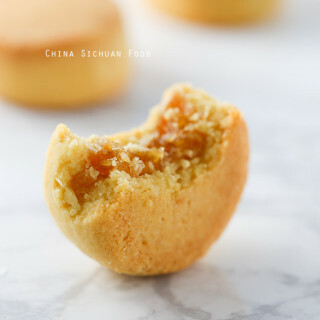 Making them at home are quite easy and funny. 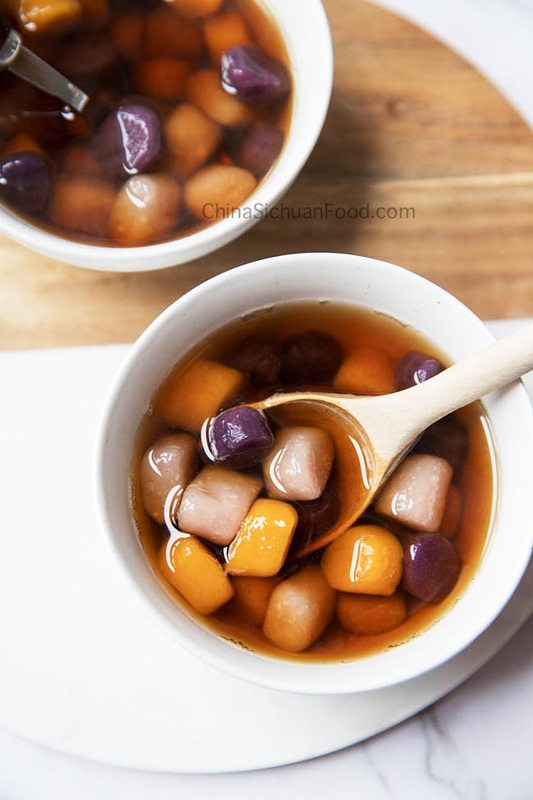 In summer, we always serve those chewy balls with a chilled sweetened sweet beans, tofu pudding or grass jelly. But in winter days, they are also good in warm syrup soups. 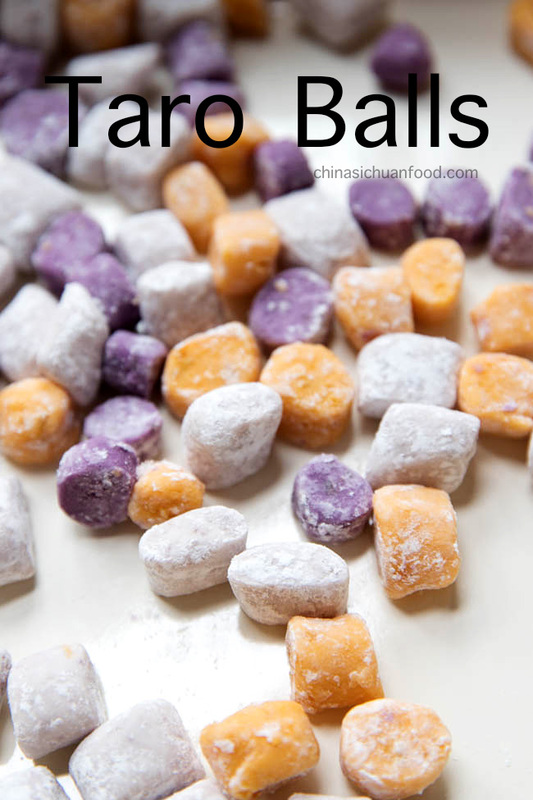 Traditional Taiwanese taro balls use sweet potato flour (地瓜粉，红薯粉). 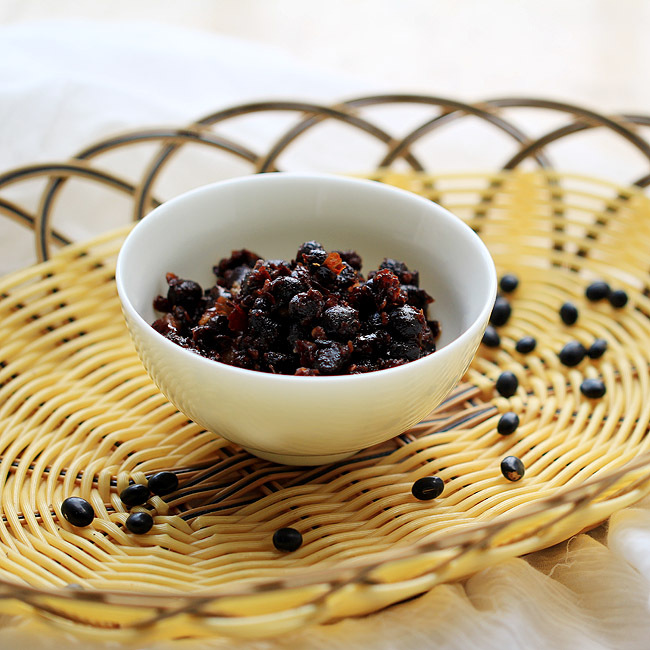 Tapioca flour has also been used. But the texture balls produced would be slightly different. 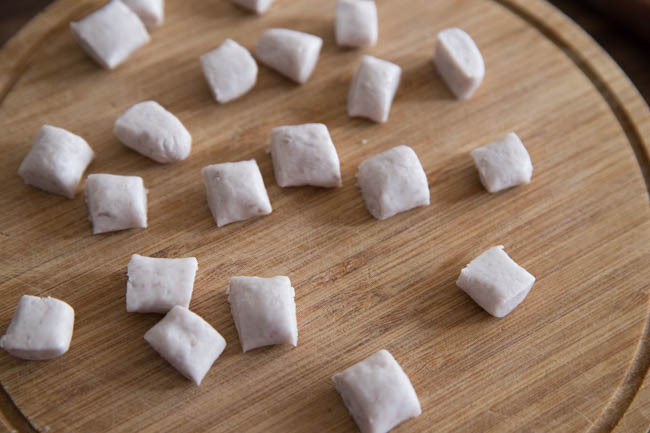 Sweet potato flour creates a more authentic flavor while tapioca flour can bring us a more elastic texture. Different ratio of the flour and the yam creates different textures. More flour means higher elasticity. Those taro balls can be frozen well. 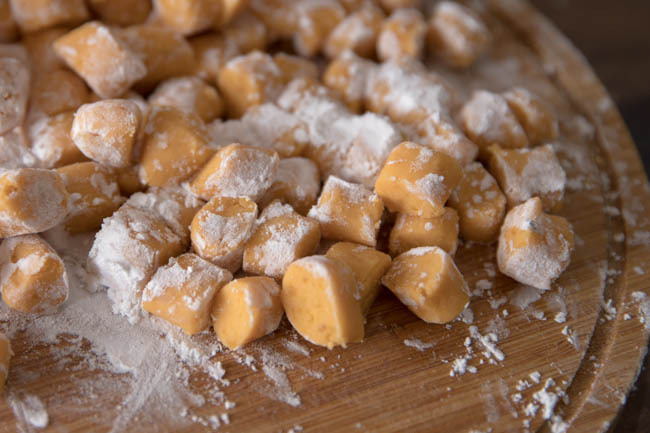 Dust the balls with a thin layer of cornstarch or sweet potato flour to keep them separated. Then cook directly for next serving. They can be frozen up for 1 or 2 months. 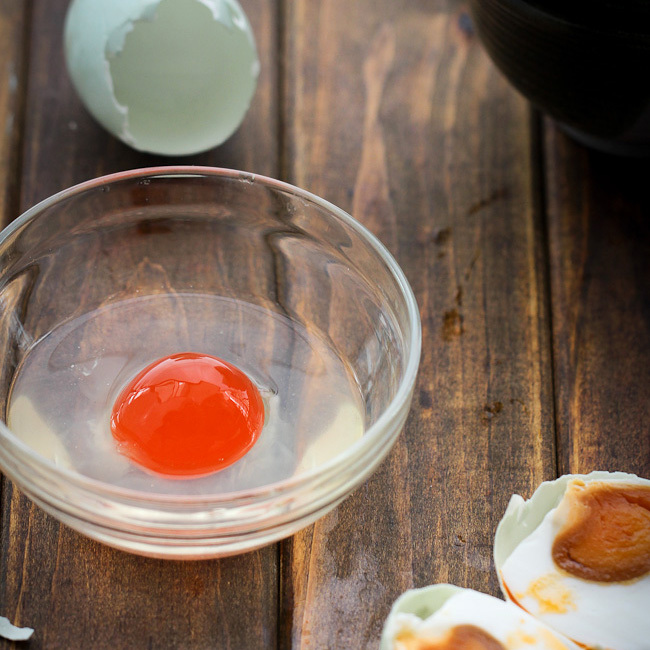 Make sure the water is already boiling before adding the balls, otherwise they disintegrate to from a starchy slurry. After adding the balls, slightly stir them to prevent them stick to the bottom of the pot. When the balls float on the surface, add around 2 tablespoons of cold water in the pot, to drop the temperature of the water and creates a chewier surface and an evenly heating to the inner side. 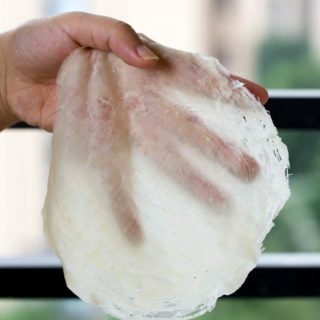 We use this method in cook jiaozi (Chinese dumplings) too. 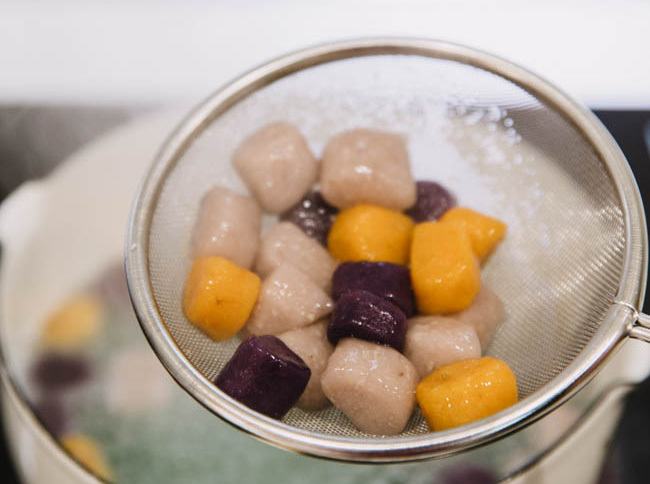 If you plan to serve those taro balls with chilled ingredients. Toss the balls with sugar once cooked. 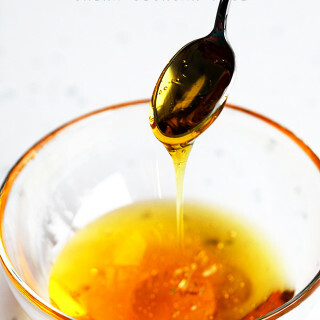 The remaining heat helps to melt the sugar and from a syrup on the surface. 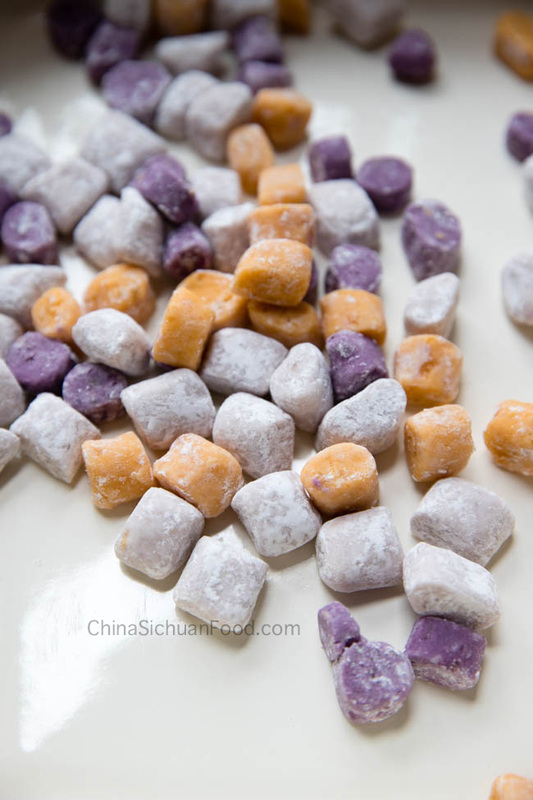 This process can make the taro balls more shinning and appealing and meanwhile keep them separated from each other. 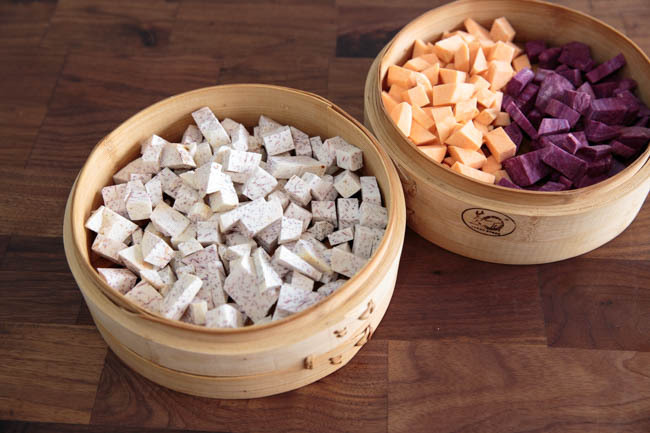 Cut the potatoes and taro into small cubes and then steam with high fire for 20 to 30 minutes until soft. Smash taro well, mix in sugar when the taro is still hot. Add sweet potato flour in. Knead to form a soft ball, add water if needed. Add more flour is your mixture is too wet and more water if the mixture is too dry. Then divide the dough into 4 equal portions, shape each one into thin long log (around 1.5cm in diameter). Then cut into small dices. Dust some corn flour or sweet potato flour to avoid them from sticky together. Bring a pot of water to a boiling, and then gently lower the balls in. Add 2 tablespoons of cold water when the taro balls floats. Then continue cooking for 2-3 minutes. In the meantime, add 2 slices of ginger and 1 pieces of brown sugar. 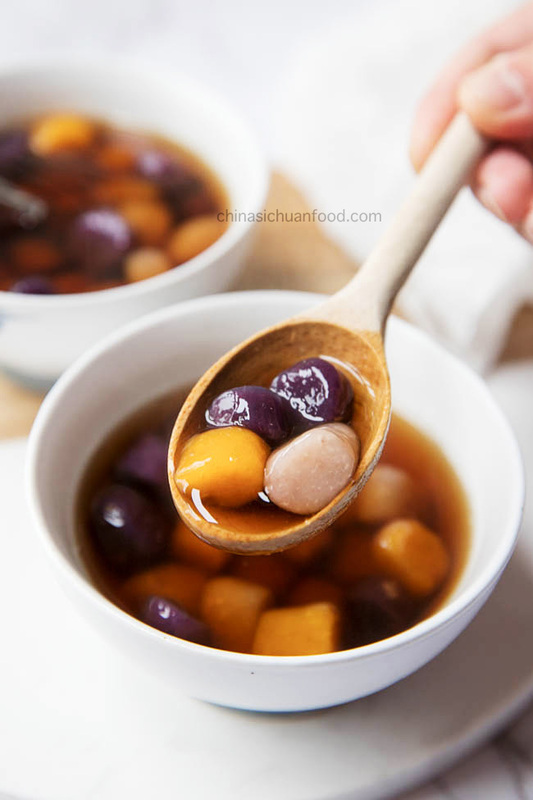 Bring to a boiling.Scoop the syrup water in serving bowl and transfer the taro balls out once cooked. 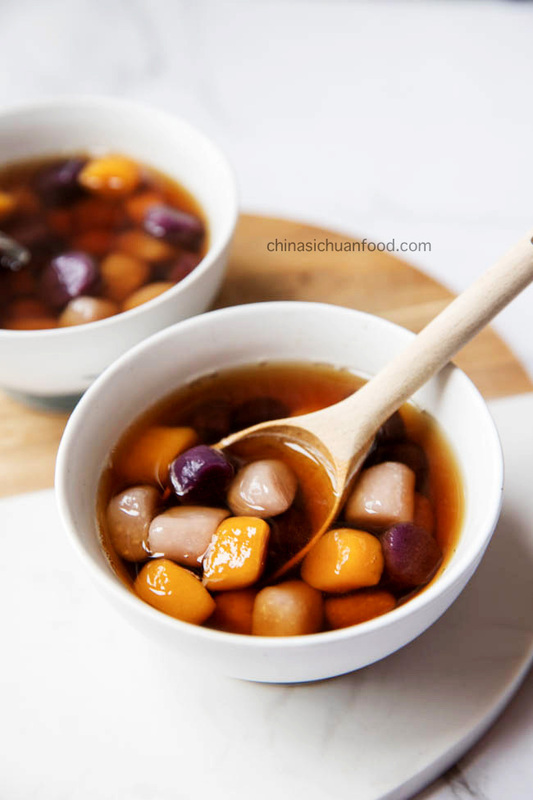 You can match it with a red bean soup, either hot or chilled. Taro balls can be served with tofu pudding or grass jelly. In the meantime, add 2 slices of ginger and 1 pieces of brown sugar. Bring to a boiling. Scoop the syrup water in serving bowl and transfer the taro balls out once cooked. Thanks so much for spreading your love of cooking. 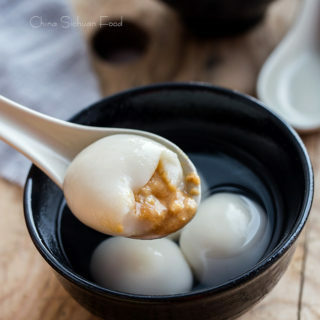 I’ve referred to your website many times for dinner ideas ❤️ I love Chinese desserts and I’m so glad you posted this as taro and sweet potato balls are my favourite! 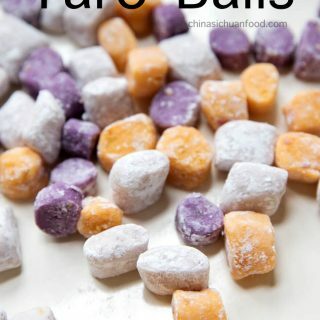 I love to prepare some taro balls for my daily dessert options. They can be quite simple. Happy cooking! Wow! These look so yummy! I have never cooked with taro before. 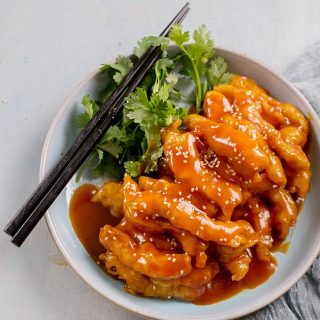 How would you describe the texture and flavor? Thank you! Large Taro is waxy after well cooked, share some similarities with sweet potatoes. But it has a very unique aroma once cooked. 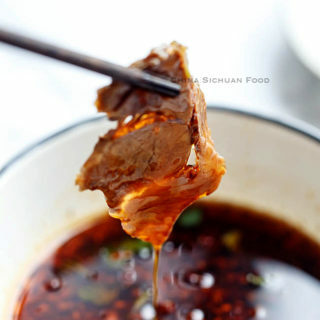 Small taros is smooth and soft and can absorb the flavors from other dishes very well. what sweet potato flour brand do you use? I’ve never heard of it or used it before. I believe it is Dad’s brand. My sweet potato flour is coming from my father. Any brand will work fine. No need to worry about it.